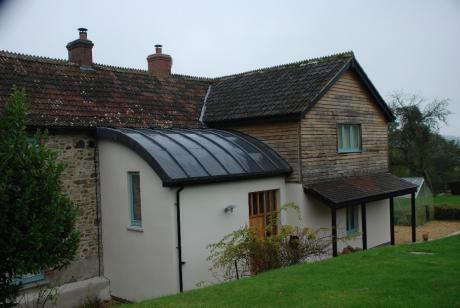 The brief was to replace a damp, cramped and crumbling bungalow with a highly “Ecological” house we describe as “modern traditional”. 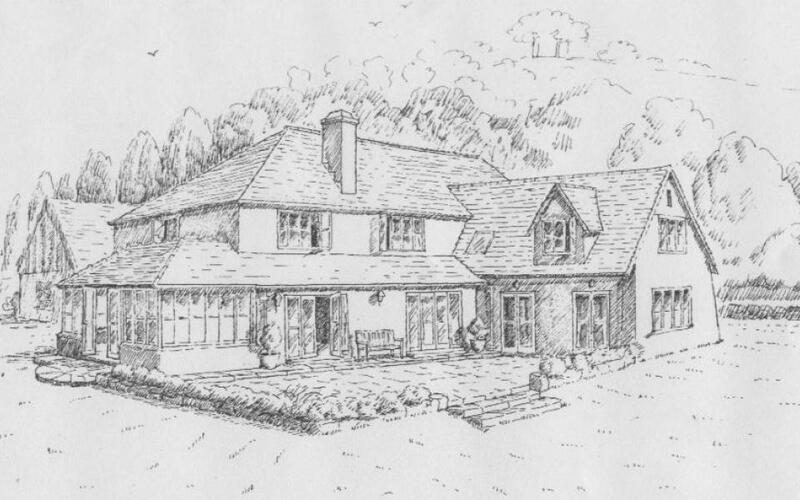 The size increases were tightly controlled by the Planning System,but the internal feeling is “Tardis-like” – spaces feel much bigger and more generous than numbers suggest. 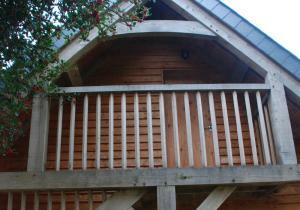 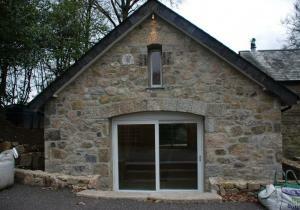 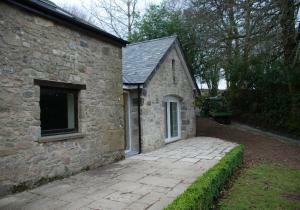 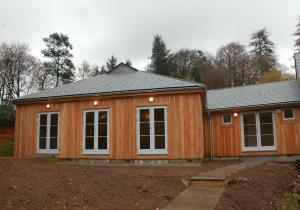 A simple and ecological building, used as a teaching and practice space, on Dartmoor. 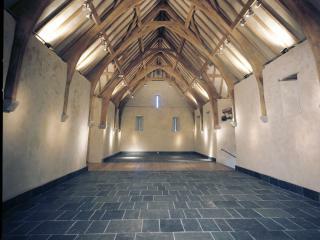 A few years on, the building has mellowed and weathered, and we still receive gratifying comments about the serenity of the simple space. 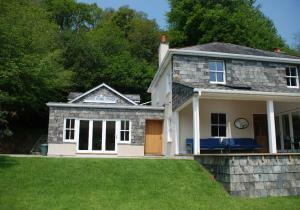 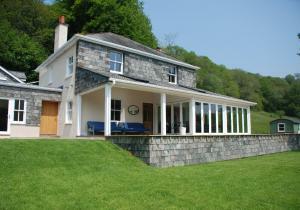 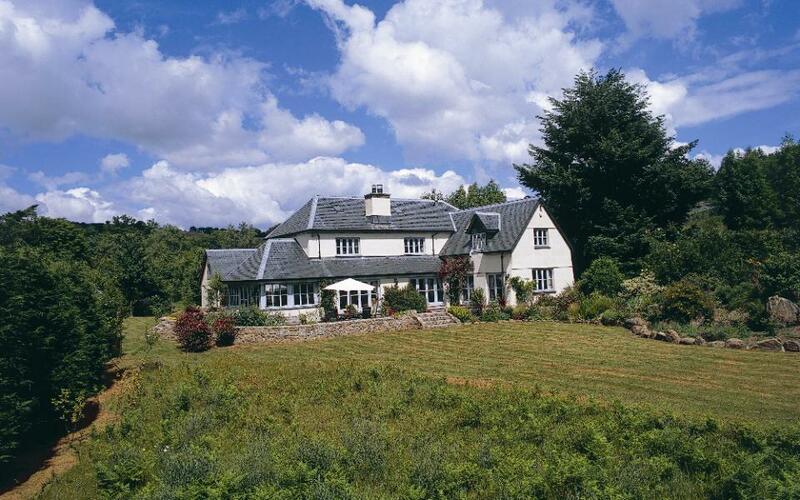 A new house by the river Teign near Chagford, Dartmoor. 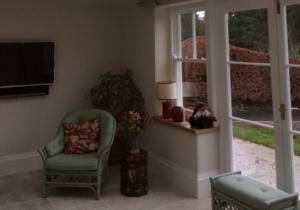 We succeeded in giving the “should look like it grew there” feeling instructed by the clients. 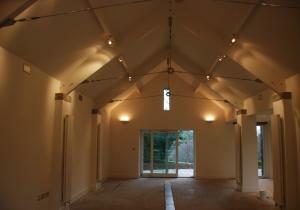 The brief was to create a new library and office that looked like an old barn. 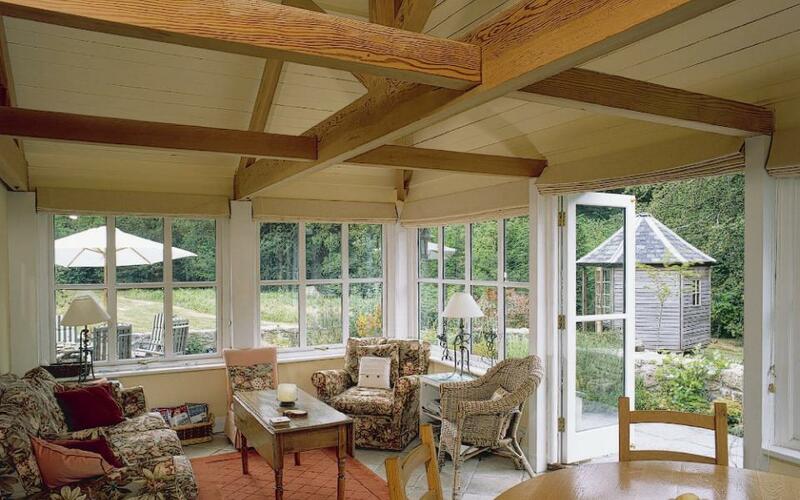 We are particularly pleased with the modern interpretation of roof trusses with stainless steel wire, for a more open and clear feeling to the space. 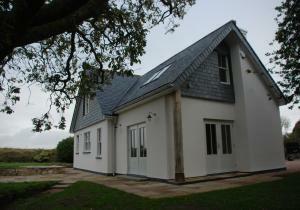 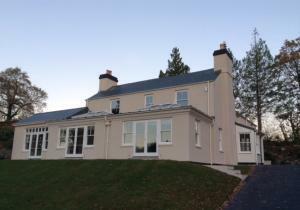 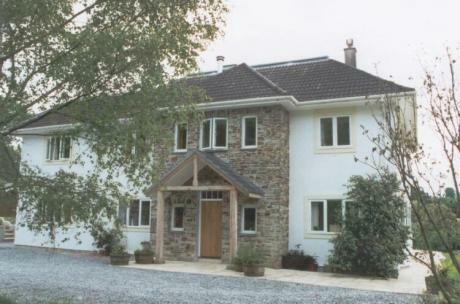 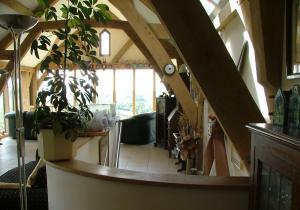 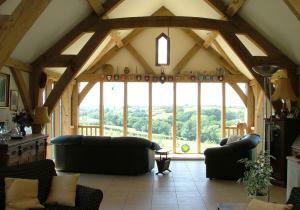 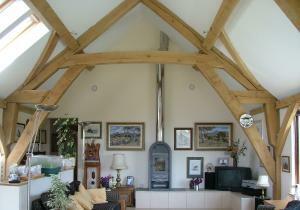 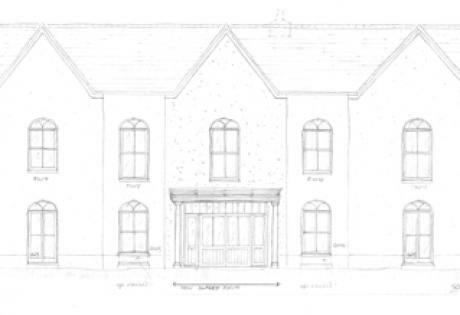 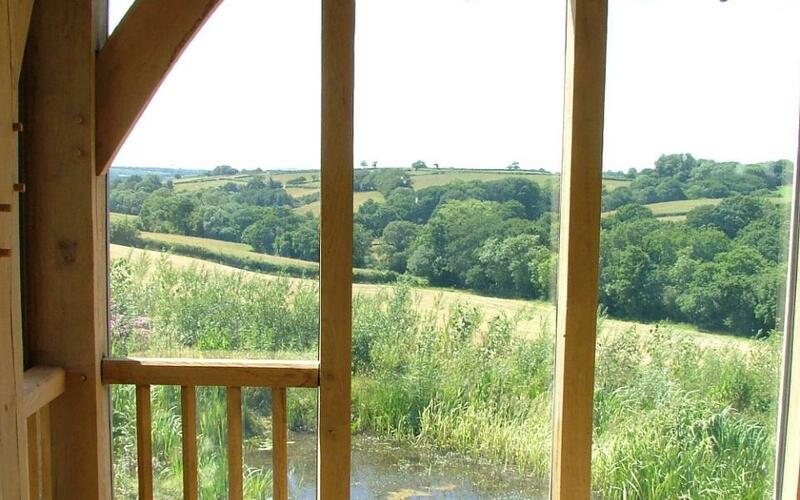 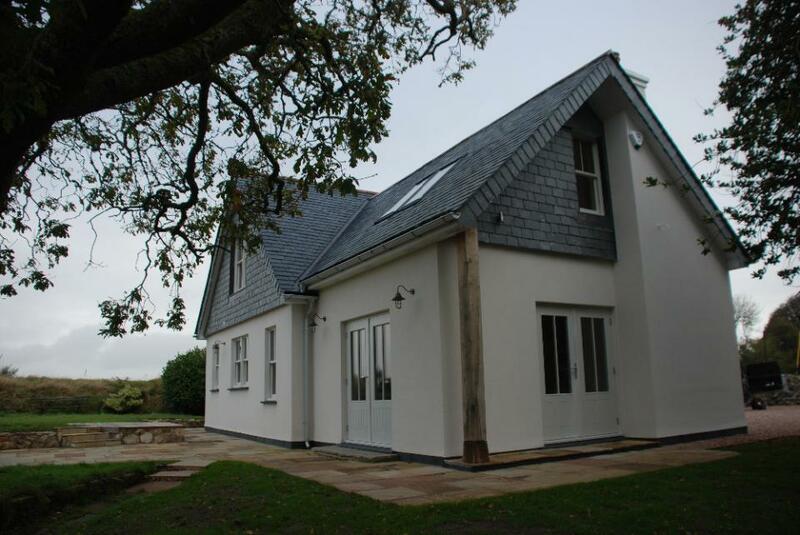 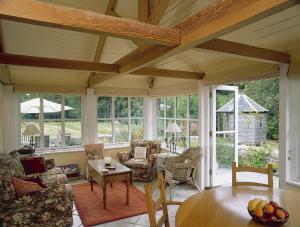 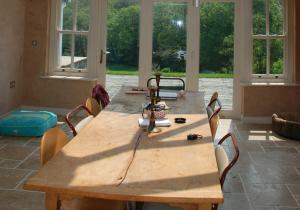 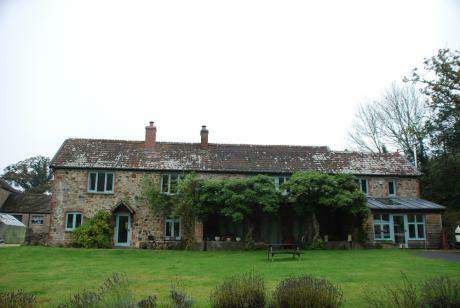 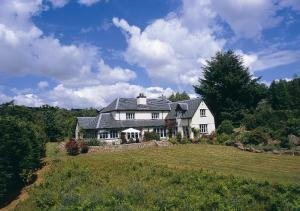 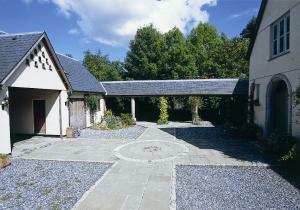 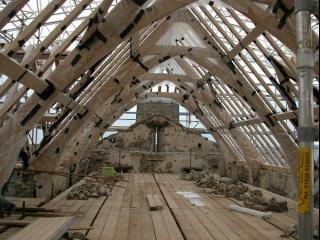 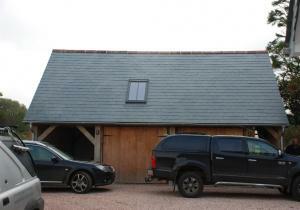 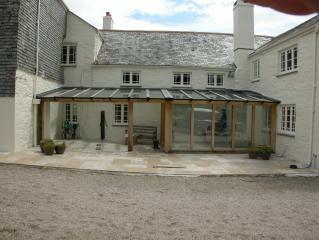 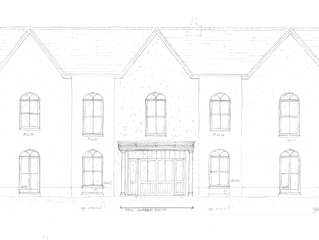 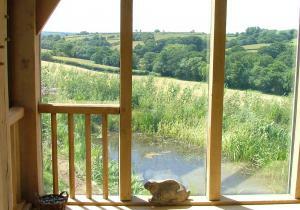 A hybrid new house, part traditional, part Green Oak frame, in Mid-Devon. 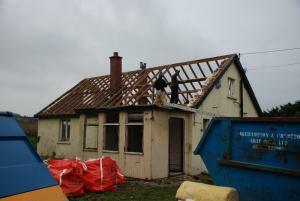 The curved roof was a successful, if desperation driven, response to finding bats that could not be disturbed in the roof space. 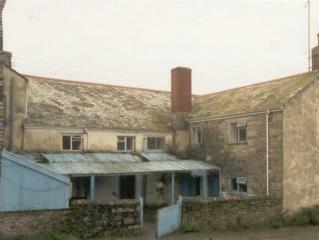 This was a poorly done 1980s refurbishment of a Mine Captain’s cottage from the 1890s. 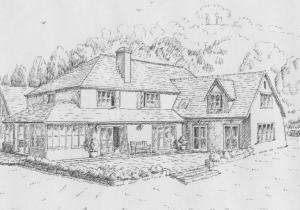 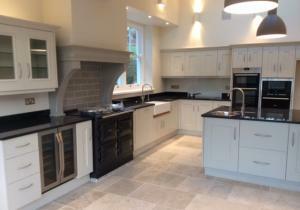 The client had teenage children and many friends around and wanted a home for entertaining. 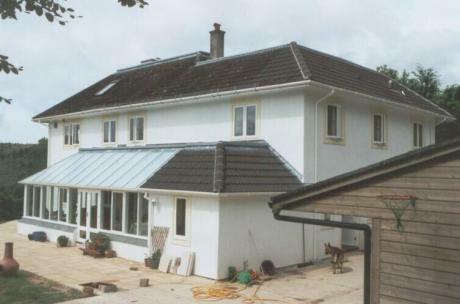 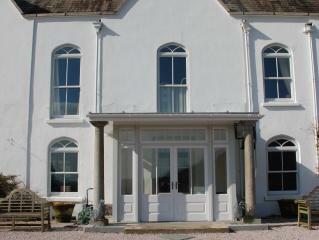 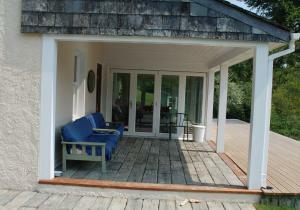 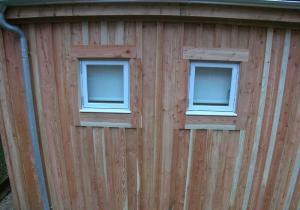 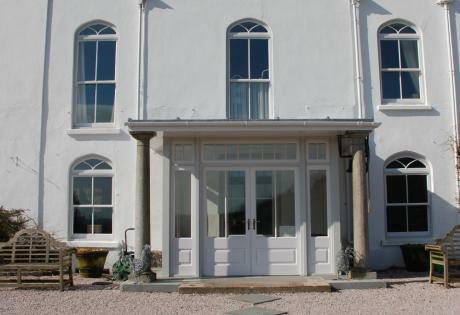 This transformed a tired and dingy house into a great home. 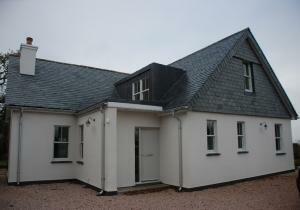 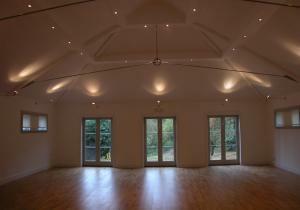 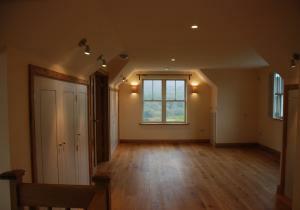 This was a boxy “builders house” extended and transformed into one with large elegant and light spaces.